This entry was posted in Activities, Equations, Foldables, Test Reviews and tagged foldable, graphing, slope by I Speak Math. Bookmark the permalink. You are rocking these foldables! I used the functions the other day as a review…kids loved it! And asked for more! Thanks for sharing. I’m so glad your students are loving them too. Mine get so excited when I bring out the supplies. They say it is easier to study with them as well. Folded paper magic? I love it! And, the idea about the glue behind the header is genius! Thanks! It made it very sturdy. The kids need that. I just followed your blog via email! Thanks! I love them too! I think I’m addicted at this point! lol! 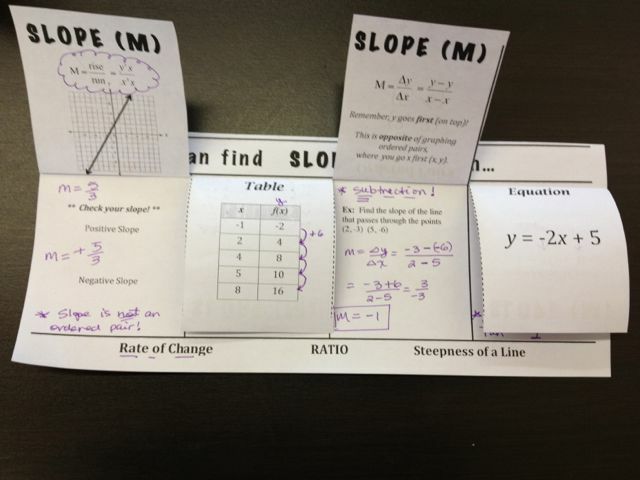 What a great foldable for slope! Thanks so much for sharing. I loved this foldable! 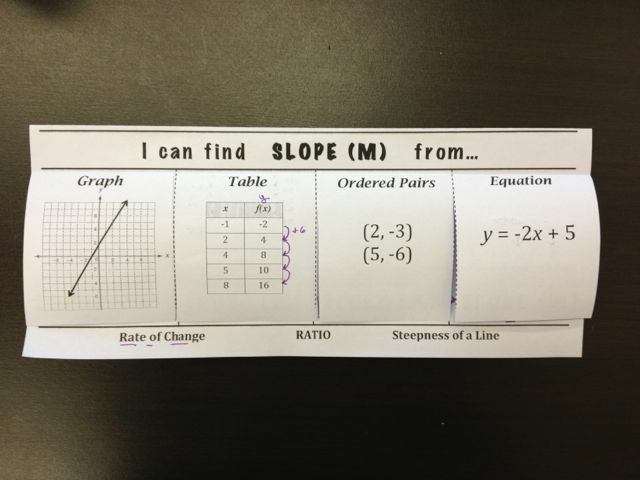 I used it today to review slope with my Algebra 2 class and they did awesome with it! I made a couple changes to it and added undefined/zero slopes but really liked the way you have it organized! The kids were able to cut and fold it with almost no instruction too! I would love to see your edits! 🙂 Thanks! This is amazing! I teach a cat A 7th grade math class and this was perfect for my students. I have to modify everything for them, but this worked GREAT! Thank you! I used your foldable and loved it! 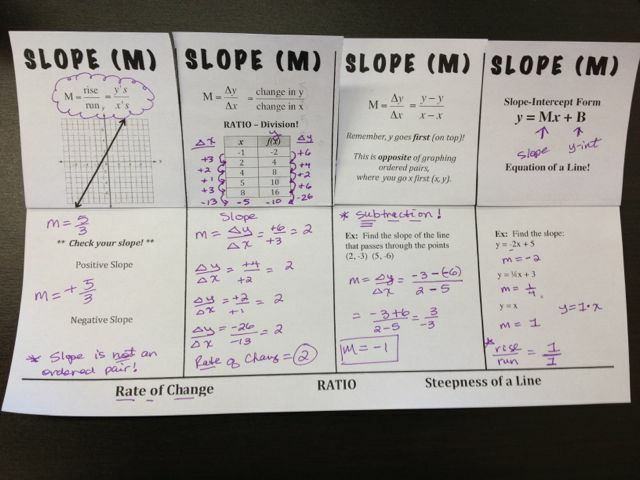 Students really seemed to grasp how to find slope much quicker this year. I just need to figure out how to refigure it next year as I use a composition book for my book of knowlege (where notes and foldables go) and the slope foldable did not fit and had to be folded over to fit in the comp book. Thank you for shariing. I am always referring to your site when I need some ideas. Is this slope foldable still available? It doesn’t download for me. Thank you for posting these!! You are awesome! Not sure how I’m just now coming across this, but this is great! Thank you! I am working on writing curriculum for Anne Arundel County Public Schools. We are interested in using this foldable in our e-curriculum for teachers to access in their classrooms. Can you please email me letting me know if you are willing to grant us permission to do so? Thank you for posting this. I am going to use it with my algebra students tomorrow and am so thankful that you’ve saved me so much time! Thanks again!